Acentuado con detalles rojos vibrantes, este bolso para kit de cámaras de sistema compacto, cámaras híbridas o videocámaras contiene espacio de almacenaje para cables y accesorios. Las opciones de transporte incluyen una correa para el hombro desmontable o una manija de sujeción. 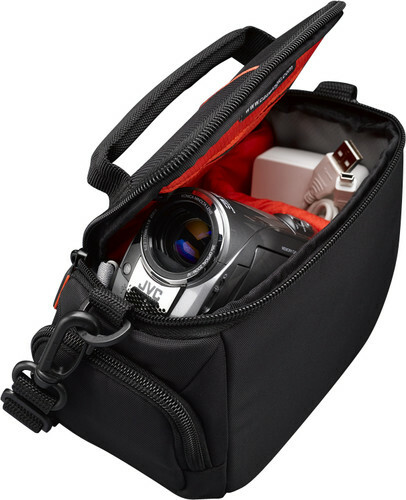 I use this bag for my Digital Camera and all the gear I need to go along with it........extra batteries, memory chips and wires etc. I can grab it as I go out the door.......and have everything I need right at hand to take whatever great picture opportunities I see that come along. The case is used for my Canon VIXIA HV40 Camcorder and it accomodates the camera, the shoulder strap, one cassette, and the cord and charger, but nothing more. It is small, easily carried, but will hold very few accessories such as a spare battery. It is well constructed and I chose it over other cases primarily due to appearance and small size making it easy to carry and travel about with.. I was impressed with the durable quality of the material. I just wish I had gotten a little larger case to hold my camcorder instruction manual. But overall I'm very satisfied with the case. 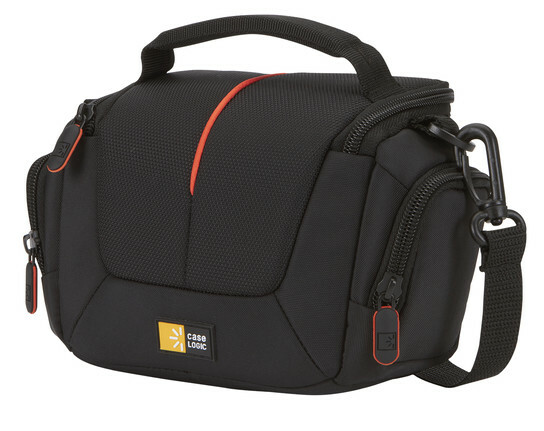 This bag is very good, On the find your product thing, it says that the sony nex-3 doesn't fit, but I've mannaged to fit, the body, minolta 50mm, the 16mm kit lens, the 30mm macro alpha mount lens, and the la-ea1 adapter all inside, along with the various body caps and sd cards in the saddle bags(side pockets). 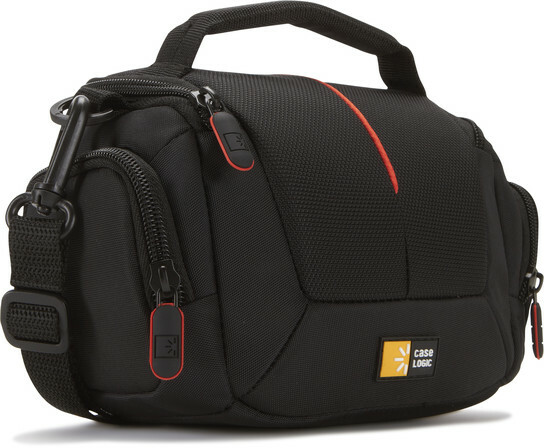 This is a great bag for a m4/3 or nex camera and a couple lenses too. Build quality, looks, and padding are all good, except the padding on the bottom of the bag could be a little thicker... Only a problem if you really slam your camera bag down, so be gentile. Nice product, good service! I'll order again! 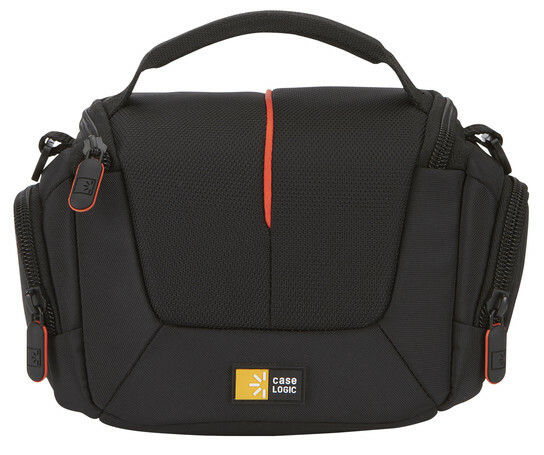 For being a small camcorder case, it manages to fit all the accessories. It stores the camcorder, a spare battery, spare memory card, battery charger and all the plugs/wires.